This website has been created to help the children appreciate their cultural roots and learn the moral values. It contains numerouxs puzzles, stories, quizes, etc. for the same. Category Kids' Corner April 16, 2013 by ISKCON Desire Tree. 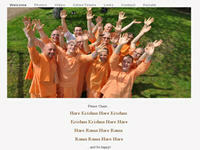 The website of the Hare Krishna Monks in Canada, which presents photos, videos and other details of their various projects. 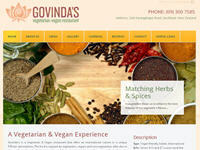 The official website of Govinda’s Vegetarian and Vegan Restaurant in Auckland. Various details regarding the cuisine, photos, etc. are presented on the website. Category Restaurants April 4, 2013 by ISKCON Desire Tree. The official website of ISKCON New Orleans Retreat. It contains retreat details including the daily schedule, registration and accommodations information. 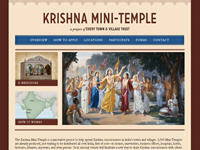 Category Organizations, Other Interesting Sites April 26, 2013 by ISKCON Desire Tree. This online store contains a vast treasure of health care products, natural and herbal cosmetics, spiritual and Ayurvedic books as well as scriptures which can impart and bring joy to the otherwise mundane human existence. Category Stores and Shopping April 29, 2013 by ISKCON Desire Tree. Category Chanting/Japa, Food & Vegetarianism, Health, Multimedia, Softwares, Youth April 4, 2013 by ISKCON Desire Tree. 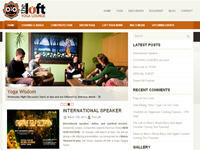 The official website of The Loft Yoga Lounge, which runs weekly yoga classes. 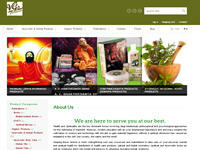 The website also contains various articles on kirtan yoga, cow protection, etc. Category Yoga April 4, 2013 by ISKCON Desire Tree.